Back in August, I shared my lash secrets and tips on how to keep them long and healthy. Over the past few months, I have kept track of the progression of my eyelash appearance after using AVON’s Anew Clinical Unlimited Lashes. I also started using Avon True Color Love at 1stLash Mascara; which is the perfect mascara to accentuate your lashes. Starting in July, I began my lash journey and I am ecstatic with the results. I have been looking for the perfect routine, besides my everyday vitamin supplement. It’s important to treat your lashes, as you would with your hair and skin. Avon’s Anew Clinical Unlimited Lashes helps to make the eyelashes look fuller, healthier and longer in a short amount of time. I noticed significant changes in the first several weeks. I’ve tried all of the eyelash serums and this is my new ULTIMATE favorite and secret to lash care. I had the biggest issue with finding a serum that I could use, that did not contain any form of nuts/nut oils. The combination of the peptides and botanicals had my lashes looking longer in just one month! I have received so many compliments on my lashes in the past few weeks; a woman in Nordstrom even asked me if I wore extensions! I’ve always had longer, natural lashes, but the AVON Anew Clinical Unlimited Lashes now provides a dramatic and fuller look. It is so easy to use, you apply a thin layer lining the lash along the lash line. Make sure your skin is clean, dry and that it is applied at nighttime. The best part, is that you can also use it on your eyebrows. Using the serum on my eyebrows has made them look longer and fuller, giving me that Brooke Shields look. This is a MUST-have serum. I swear by this and it is the ultimate secret to my long, fluffy- looking lashes. With its hypoallergenic formula and blend of botanicals, it will leave your lashes feeling healthier and fuller. If you do use – I would love for you to tag me in your lash journey! In combination with the serum, I also use Avon True Color Love at 1st Lash Mascara by Avon. It is easy to apply and the shape of the brush accentuates the natural and fuller lash. How to apply mascara for the longest lashes! The way that you apply your mascara can result in the ultimate longest lashes look. First thing I do, is use the Anew Clinical Unlimited Lashes serum the night before, along with my nighttime care routine. I use one swipe of the serum on my upper lid only. You swipe along the line, as if you were applying a liquid eyeliner. You only need to dip once for both eyes! When applying mascara the next day, I wiggle the brush from the root of my eyelash, back and forth. I will wiggle the brush from side to side and all the way to the top of my lashes. I then repeat this step. I like to add a second coat, but I’ll wait a few seconds first before applying. This allows the first coat to settle and dry. The more sticky the better, because this will allow the second layer to add volume; working the lash magic. For the last application, I will turn the brush parallel allowing the brush to swipe the tips of the lashes. This will add a little extra boost and really makes a smudge of a difference. It gives the lashes bag extra pop! Thank you Avon for sponsoring this post, of course all opinions are my own. Here are my final results at twelve weeks! Please note I am wearing Mascara! This is available exclusively through Avon Representatives. To locate an Avon Representative visit avon.com. Here’s One more before and after for you! “What mascara do you use?” The answer is yes darlings, my lashes are in fact real. I’ve never had extensions or rarely wear falsies. I never liked them; not sure why. Does this not make me a beauty blogger now? Ha ha. I found ways and tricks to make my lashes look fuller, naturally with the proper care. “How do you get your eyelashes to look so long and like you have extensions?” Well the truth is; there are a few things that I do to maintain my long lashes. It is definitely a multi-part answer. I think there are a few things such as the products you use, genetics (my dad has the longest lashes), and care. I naturally have thicker hair and full lashes, but I do believe that the mascara I use makes a world of a difference. I’ve been using the same mascara for years and it was my go-to. That was, until I teamed up with Avon and started using their Avon True Color Love at 1st Lash Mascara. This product just launched and I am so excited to be trying it out. I’ve been receiving a ton of compliments lately on my lashes and I swear this mascara has changed my lash game. Their formula and extra fluffy, flexible brush gives my lashes a full look; leaving them volumized. I truly love this mascara and think I now need to stock up on my new ultimate lash fave. This next step is critically important for a visible lash boost. I just started using Avon’s Anew Clinical Unlimited Lashes Serum and I’m already seeing results. I can’t wait to share a before and after with y’all after the full twelve weeks. I believe that with using both the Serum and the mascara – this combination is ideal to making the lashes look fluffy and long. The serum helps to fill out the lashes, making them look extra voluminous. You guys are going to die when you see my results. I only share products that I truly love and these two together are a must-have! Be sure to follow along on my lash journey and see the ultimate results of longer and fuller lashes. I can’t believe the difference already. Even though caring for your lashes is important, the way that you apply your mascara can result in the ultimate longest lashes look. I’m excited to team up with Avon and be sure to watch my lashes transform. This is going to be a lash journey, and y’all are coming with me for the ride! YDS Beauty Launch! Valentine’s Day Makeup Tutorial! 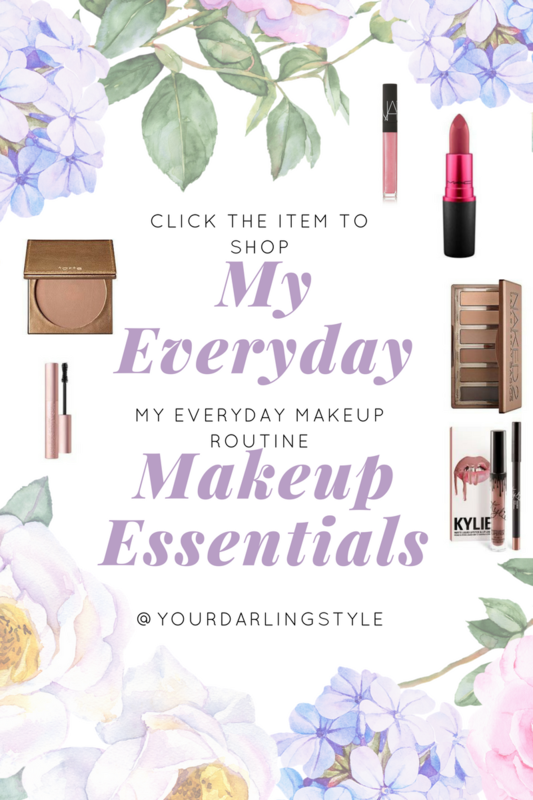 So excited to have finally launched my YDS beauty channel. The first look I am sharing with y’all is this Valentine’s Day makeup look. Whether you have a Galentine’s day brunch with your girlfriends or a nice romantic dinner with your man, this look is perfect! Would love if you darlings could subscribe to my channel. Comment below with some tutorials you would like to see in the upcoming weeks. I know I have been promising you guys with a hair tutorial! I am actually investing in better equipment to make my youtube videos more efficient and better quality! I can’t wait to share with y’all a step by step video on how I get my curls. Below are my FAVORITE products! 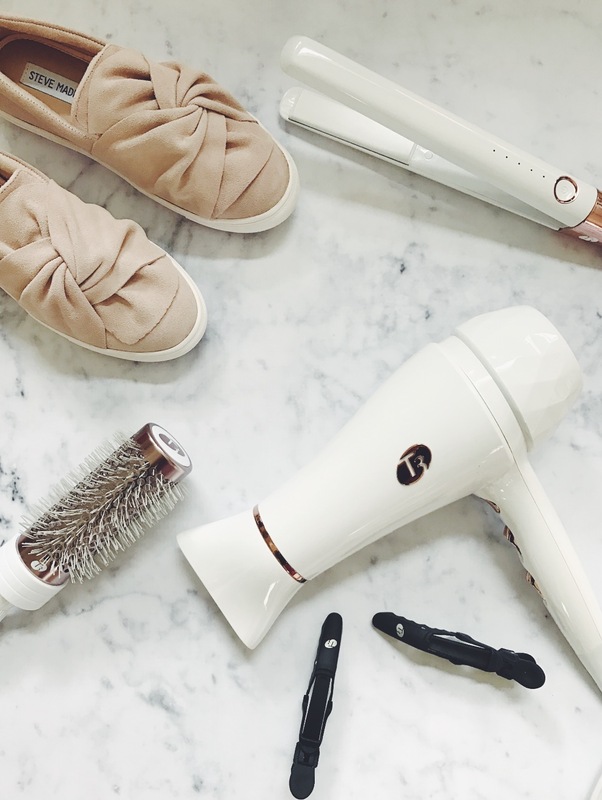 I first off blow out my hair with the luxe 2i and then going over the waves with the single pass luxe straightener. Yep, I curl my hair with a straightener. I am completely obsessed with t3’s products. I’ve tried so many different curling irons, wands but hated how crimped my hair looked. with he straightener, it gives my hair the big bouncy curls that I love. I ABSOLUTELY recommend the blowdryer as well. For someone who had very thick and long hair, it can take me up to 45 minutes to dry my hair. With the different "type of hair" setting, I finished drying my hair in 15 minutes. I was in SHOCK! I am so excited to continue using their products and try out a few new curling irons as well! All the details are linked below. A lot of you beauties ask me on the daily what my everyday makeup routine looks like. I will be doing a video soon but to hold you off, I linked my faves here! I am currently loving a nice raspberry lip and basic neutral eye with light bronzer. Live for the products I attached here. I also have extremely sensitive skin and I haven’t had any major break outs.